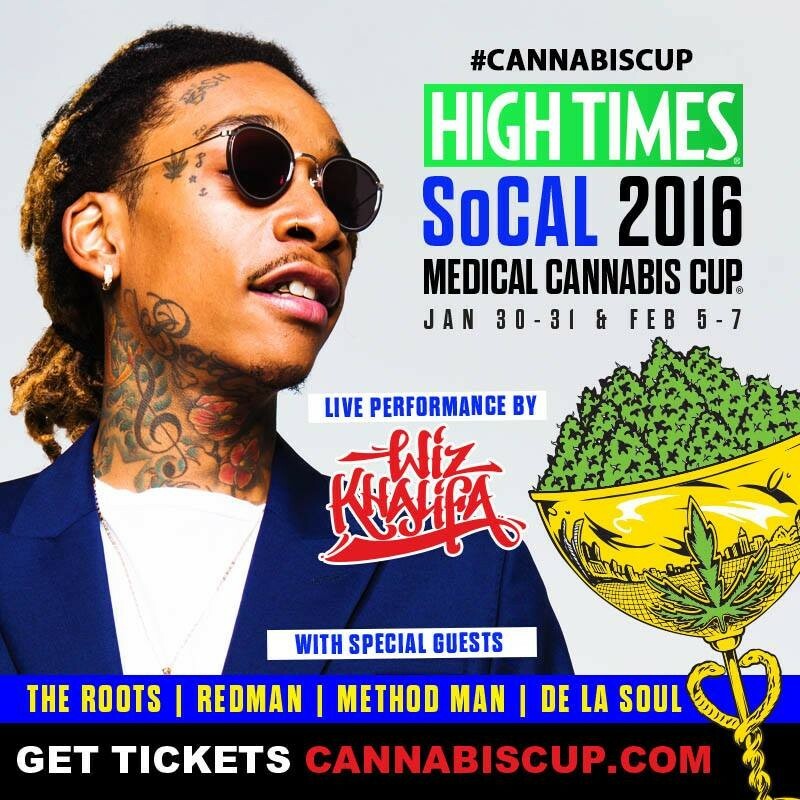 This year's High Times Southern California Medical Cannabis Cup is turning into a veritable Coachella of Chronic. Cannabis contest season runs year-round in California now, and organizers of the pot magazine’s fifth annual bacchanalia in San Bernardino have stretched the SoCal Cannabis Cup into two weekends this year (Jan. 30–31, and Feb. 5, 6, and 7), instead of just one. And the music lineup has become downright enviable, featuring: The Roots, De La Soul, Wiz Khalifa, Method Man & Redman, and just announced — Ghostface Killah and Killah Priest. Tickets start at $55 per day and are limited to adults. A medical marijuana recommendation is required to consume pot in designated toking areas. Doctors are usually on-hand to write recommendations. As usual, there will be thousands of different medical marijuana products, formulations, and accessories on display, for sale, or given away at the sprawling event, which takes place about an hour outside of Los Angeles in the City of San Bernardino. The event is a real gift to Inland Empire patients, because San Bernardino city and county has some of the state's poorest access to life-saving medical cannabis products. While pot shops remain banned, San Bernardino County is home to roughly 120 gun stores, as well as America’s most recent ISIL-inspired mass shooting. San Bernardino also went bankrupt in 2012, and fired one-quarter of its police force. Since then, massive marijuana parties at the National Orange Show (NOS) Center have become a rich source of revenue. The NOS Center is booked for two, huge hash celebrations: the ABRACADABS Cup March 26, and the 2016 Chalice Festival July 9. Activists continue to urge Inland Empire patients to organize for local change under the Brownie Mary Democratic Club of San Bernardino County.